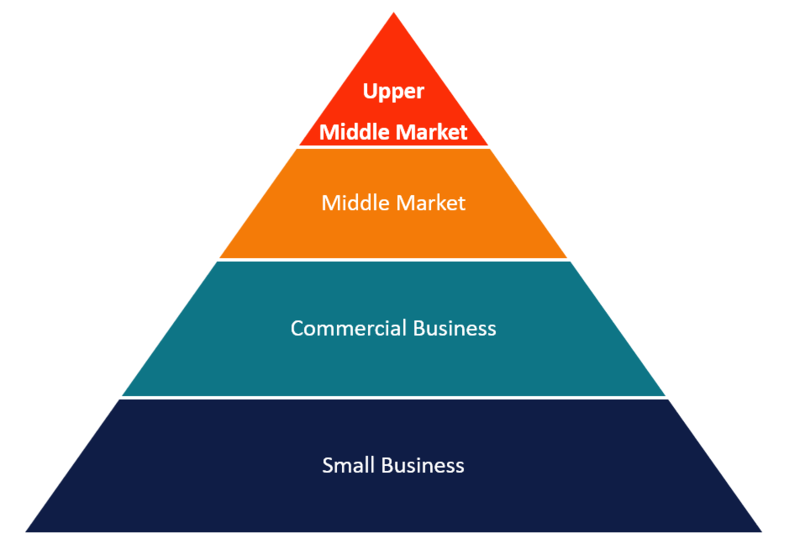 What is the Upper Middle Market? The upper middle market is a market consisting of firms that earn revenues between $500 million to $1 billion. They make up a relatively small percentage (1%) of the overall market compared to the middle market. While they are nearly invisible, they usually have reputable brands, have high barriers to entryBarriers to EntryBarriers to Entry are the obstacles or hindrances that make it difficult to enter a given market. These may include technology challenges, government, capital costs, switching costs, etc.A primary barrier to entry is the cost that constitutes an economic barrier to entry on its own. 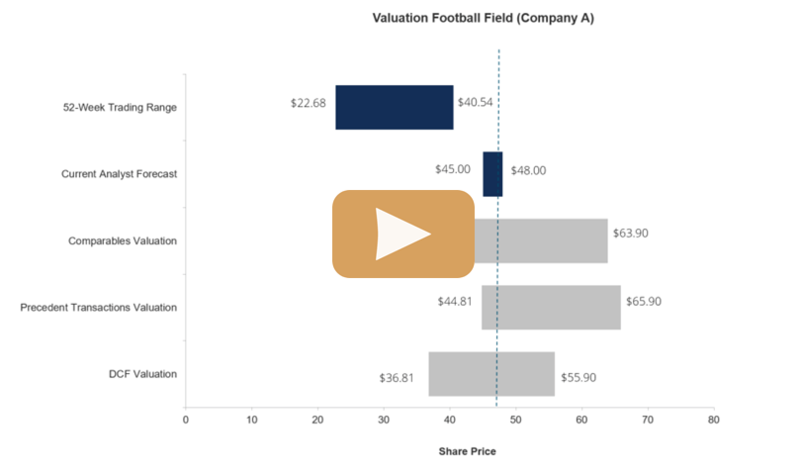 An ancillary barrier to entry refers, command premium valuation multiplesTypes of Valuation MultiplesThere are many types of valuation multiples used in financial analysis. These types of multiples can be categorized as equity multiples and enterprise value multiples. They are used in two different methods: comparable company analysis (comps) or precedent transactions, (precedents). See examples of how to calculate, and boast a large market share. Around 55% of the companies in the upper middle market have been in business for 30 years or more. Their long-standing presence and high revenues account for a significant contribution to the economy. The year 2017 saw a substantial shift towards the upper middle market with 14% YOY increase in value. The 2017 Middle Market report by PitchBook U.S. shows a 62% increase in deal volume and a 46% rise in deal value compared to the drop-in capital invested in middle and lower markets. Usually, most private equity investors invest in the middle market. However, the significant shift towards the upper middle market is influenced by several factors – large sizes of funds, high-priced multiples and large add-on deals. The high-priced multiple was caused by the elevated median valuation/EBITDA multiple that traded at 10.4x and the median debt/EBITDADebt/EBITDA RatioNet debt to earnings before interest, taxes, depreciation, and amortization (debt/EBITDA ratio) is a measure of financial leverage and a company’s ability to pay off its debt. Essentially, the net debt to EBITDA ratio gives an indication as to how long a company would need to operate at its current level to pay off that rested at a record high of 5.6x. Most acquisitions in the upper middle market comprised add-ons to existing firms in the private equity company’s portfolio that help boost revenue and earnings in an environment characterized by low growth and high purchase prices. As such, they serve as a means of private equity firmsTop 10 Private Equity FirmsWho are the top 10 private equity firms in the world? Our list of the top ten largest PE firms, sorted by total capital raised. Common strategies within P.E. include leveraged buyouts (LBO), venture capital, growth capital, distressed investments and mezzanine capital. to level down general acquisition multiple of the platform company. Upper middle market companies generate more revenue in one quarter than the entire US market revenue. Employment and revenue figures for these firms rose from 20% to 27% between the years 2011 and 2017. Furthermore, research shows that one in four employees work for an upper middle market firm, accounting for 52% of the job creation during the same period. The high revenues create a cushion for the employees to withstand financial crises and take advantage of new opportunities. Cities play a critical role in the growth of upper middle markets. They provide the infrastructure, an attractive lifestyle, and skilled labor for the pioneers of these firms. Only a few cities host upper middle market firms that are reported to generate 19% in revenue. A 2017 survey shows New York City hosts the greatest number of upper middle-market firms, generated the highest revenue and employed the largest number of individuals. Essentially, a firm in New York’s upper middle market is bigger than the firms in other cities, both in terms of profits and number of employees. Additionally, the city is home to a high number of startups (companies below 10 years old) growing to become middle and upper middle market companies. The factors bring New York to economic prominence and the best city to host the firms. Upper middle market firms located in Houston generate the highest revenue per employee than any other city. Research shows the highest paid employee earns $215,107, indicating the high productivity of upper middle market companies in the region. Productivity is evaluated on the basis of the number of goods or services produced. Other cities reporting high levels of productivity and revenue per employee include Riverside, Philadelphia, Los Angeles, and Miami. The state hosts three cities – Dallas, Houston, and San Antonio. Dallas and Houston rank as the best cities to host upper middle market firms as they host a large pool of skilled employee and report high levels of revenue. San Antonio, however, ranks high for its contribution to the local economy. It also boasts a large labor pool, affordable lifestyle, and good infrastructure. Evidently, upper middle market companies play a critical role in any economy in the form of job creation, revenue growth, and infrastructure. It is this substantial range of revenue ($500 million to $1 billion) that attracts new buyers to invest in the sector. As such, it is not unusual for upper middle market loans to trade above the normal rate since a willingness to commit capital to this kind of trading will attract new investors to the upper middle market.